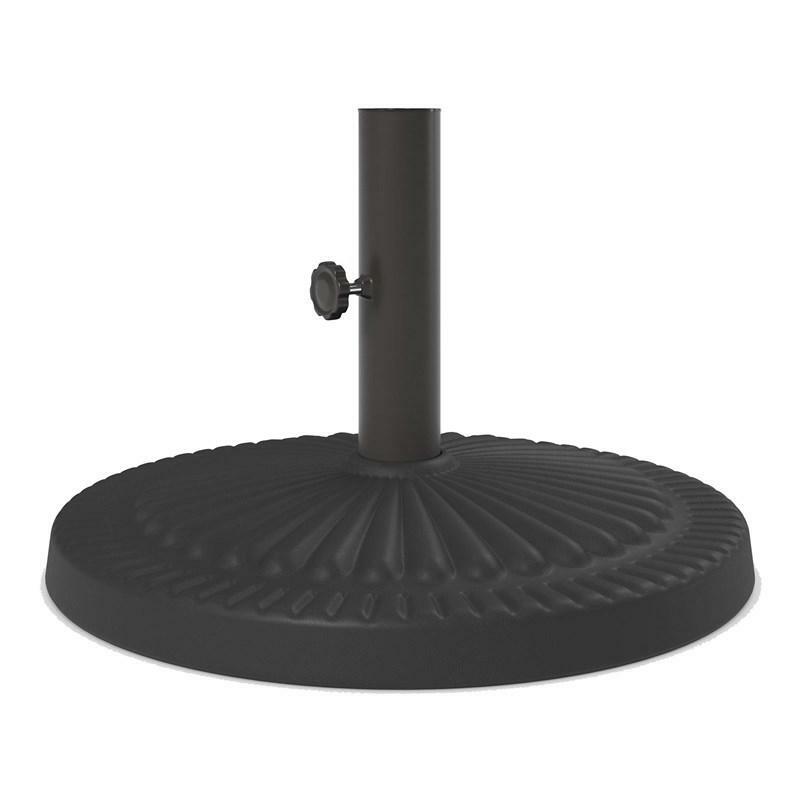 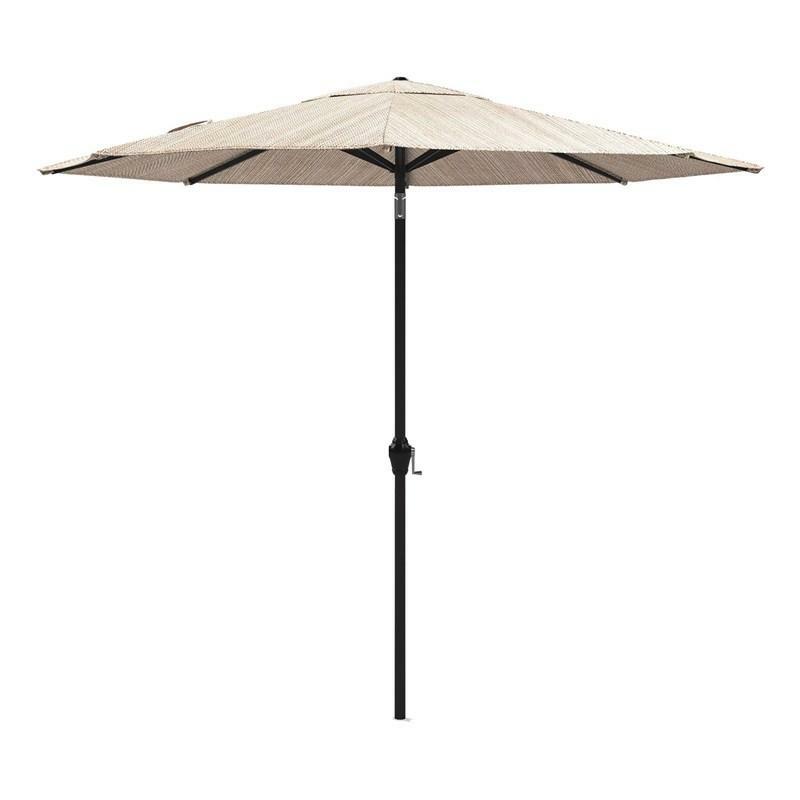 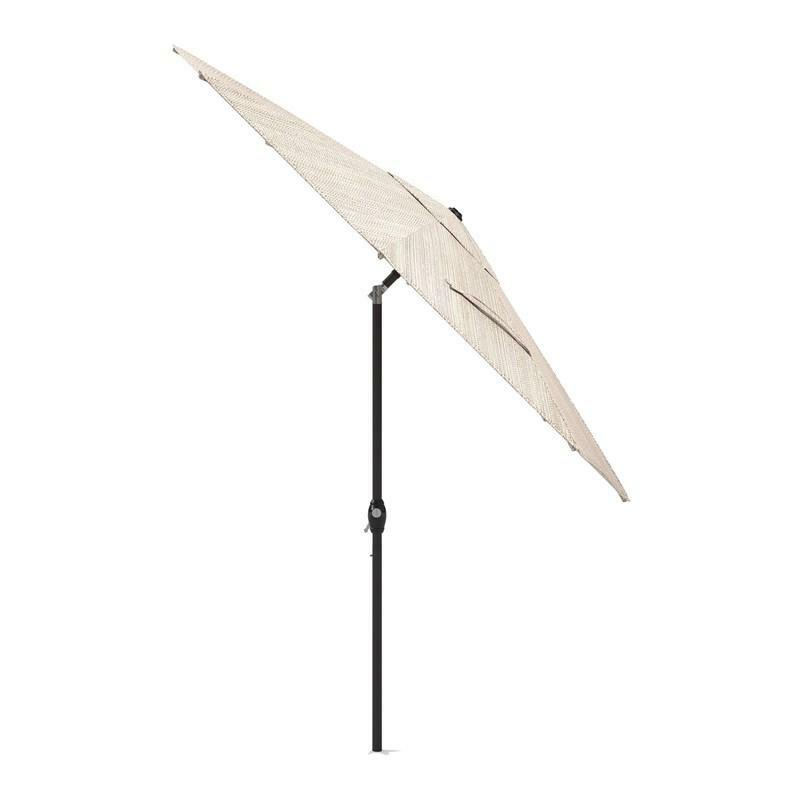 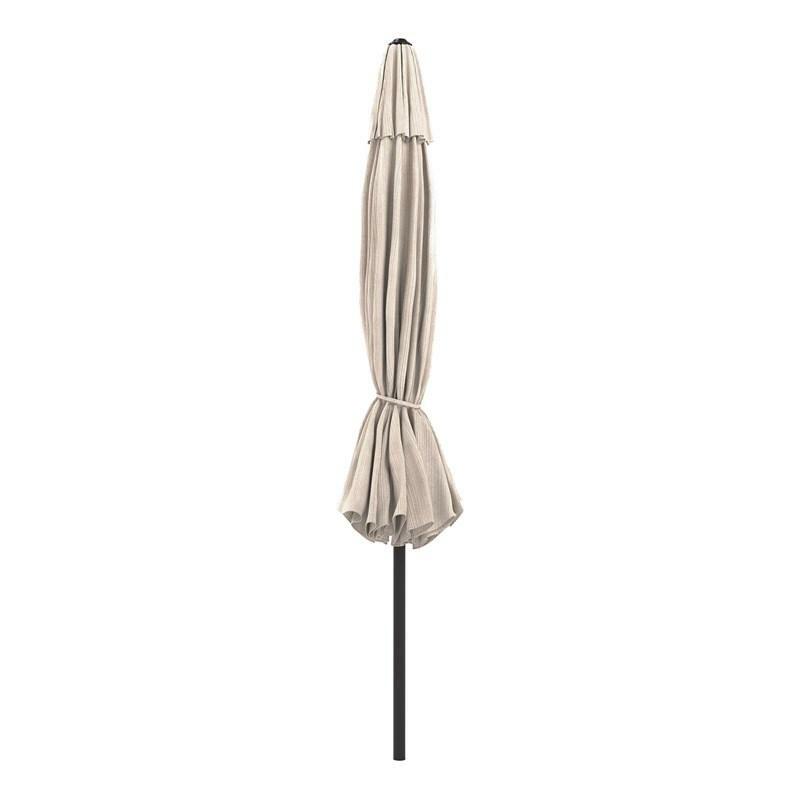 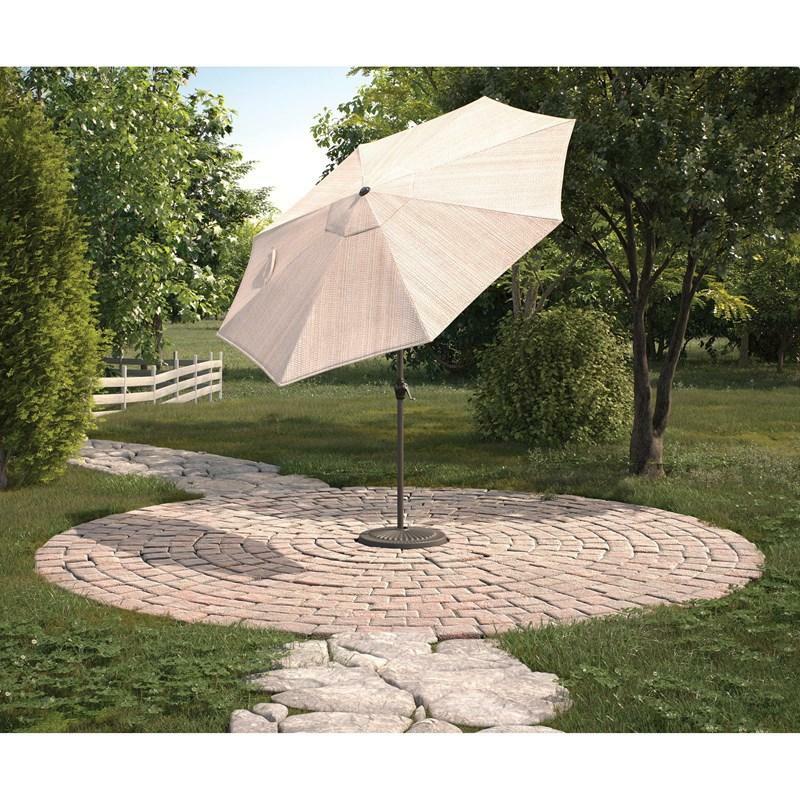 With the 9' octagonal patio umbrella, a beige canopy and gray tilting frame shade you from the sun all day. 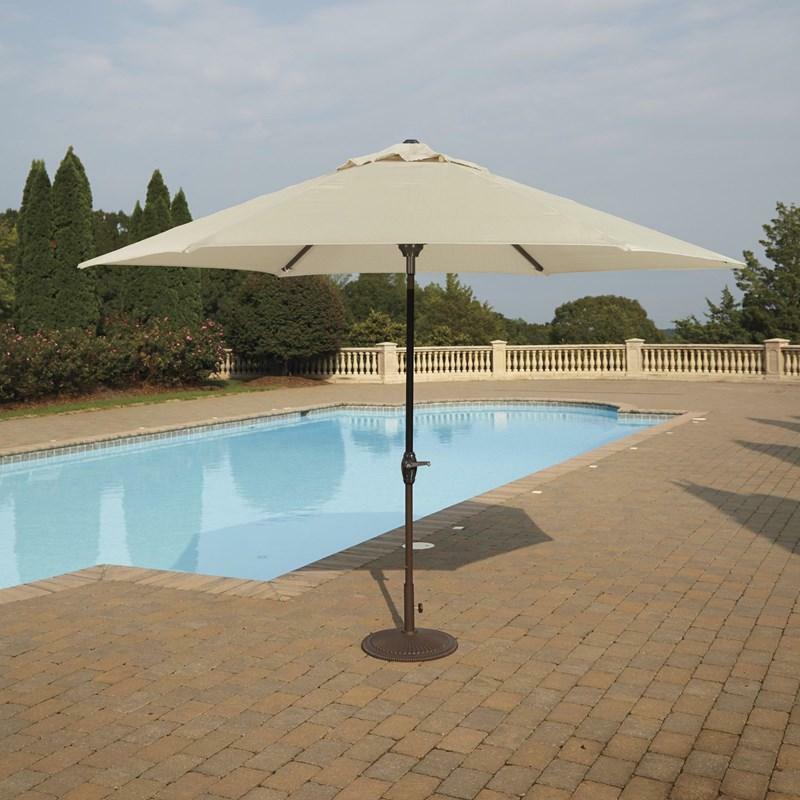 Fade-resistant PVC/olefin canopy blocks out harmful UV rays, while the easy auto-tilt frame follows the arc of the sun. 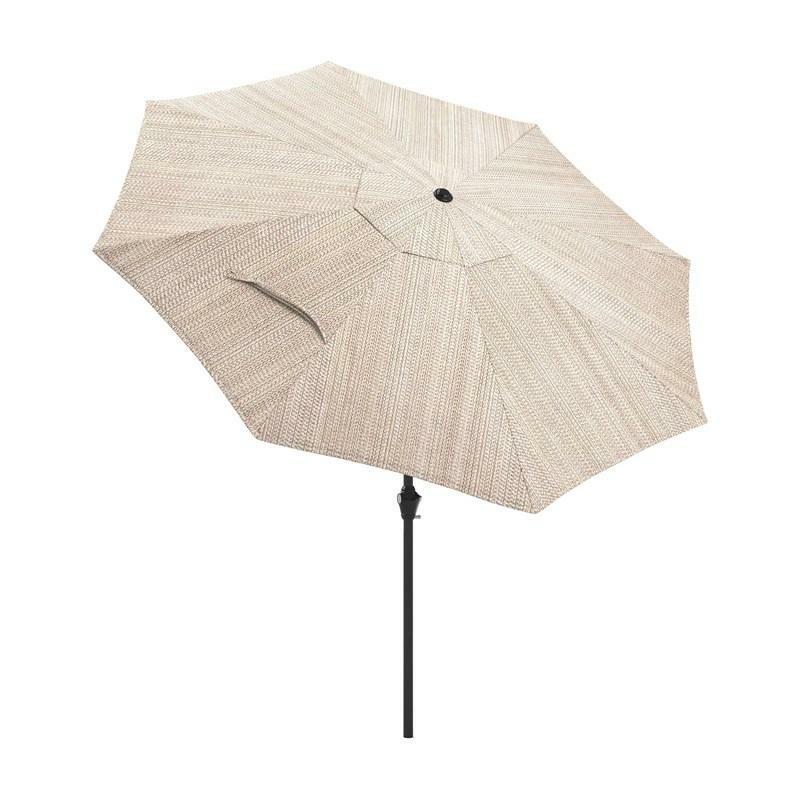 A smooth hand crank opens and closes the umbrella.